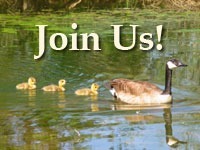 Goose Creek Association - Protection and preservation of the Goose Creek watershed. 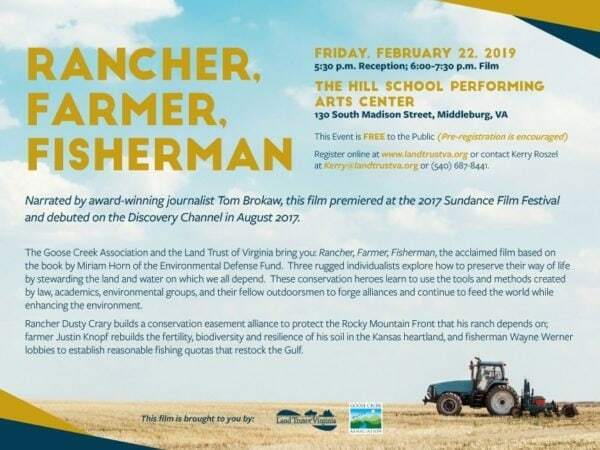 Mark your Calendar for an informative conservation presentation of “Rancher, Farmer, Fisherman”. Marcia Woolman accepts the 2018 John Marshall Soil and Water Conservation Partner Award for the Goose Creek Association. 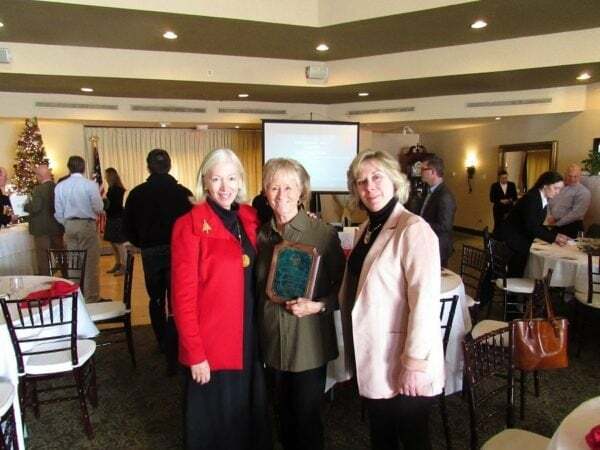 Marcia Woolman accepts the Conservation Partner Award for her efforts in the “Goose Creek Challenge” riparian buffer program. Click link below for full story. 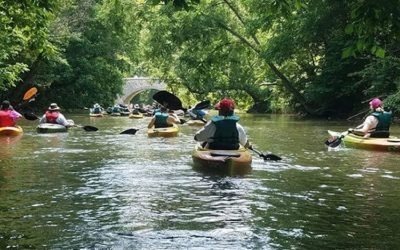 The Loudoun Preservation and Conservation Coalition will lead a community meeting Oct. 23 to provide detailed information about how the proposed Loudoun 2040 Comprehensive Plan could impact the county’s rural character and historic resources. The meeting, sponsored by the Mosby Heritage Area Association, will be held at the Bluemont Community Center starting at 6:30 p.m. The county is working to rewrite its comprehensive plan, the long-term guide to growth, development, and transportation in Loudoun. A committee of community stakeholders and special interest representatives has put together a first draft; the plan is now under review at the county Planning Commission. The coalition has compiled a slideshow exploring growth projections from the current draft plan and warning that the county’s quality of life is threatened by development, traffic and continued growth. 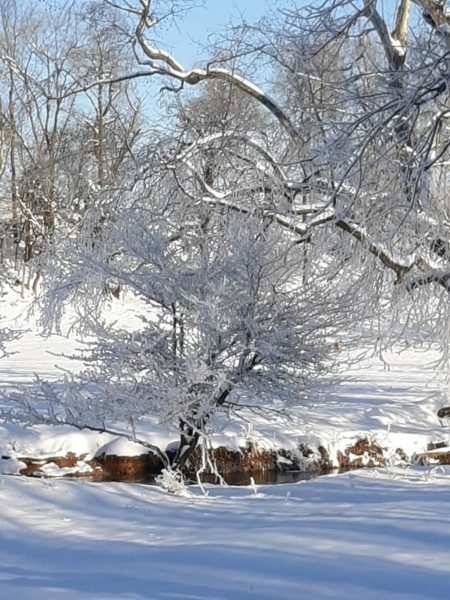 The Mosby Heritage Area Association and the Loudoun Preservation and Conservation Coalition are asking the residents to get more involved with the review process and to urge the Board of Supervisors to permit more community input into the plan. 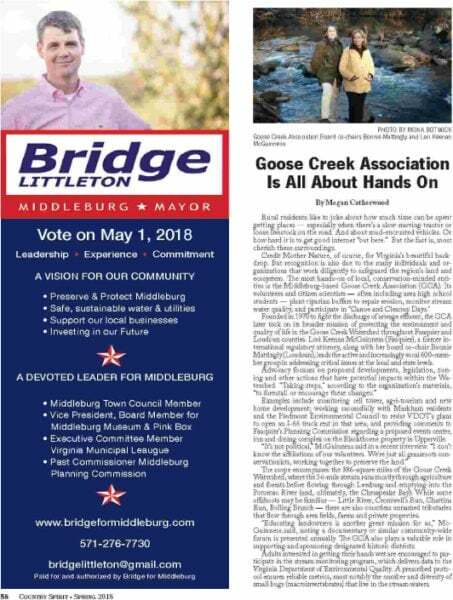 Goose Creek Association – recently in the news! 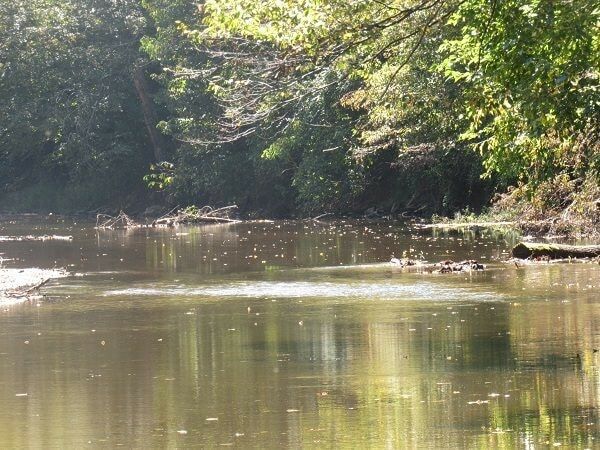 Please join us for this year’s Canoe Clean Up Day on October 6th. Please register at the link below. Rain Date may apply.